The Omniradar RIC60A is an operating in V-Band FMCW Radar on a single chip in the size of 7×7 mm. RIC60A can be configured via an SPI interface and can measure Doppler frequencies and high-precision distances or distance changes. It includes integrated antennas, one transmitter and two independent receivers. The two receivers make it possible to determine the direction of the reflecting objects using the monopulse technique. With its 7 GHz transmitters bandwidth, the chip can achieve higher position and speed accuracy than comparable products. In healthcare, this radar enables continuous medical surveillance of elderly people without violating their privacy. The radar chip is able to monitor the movement of a person within a field of view of 60°, without capturing more information than just whether the person moved or not. The RIC60A is able to detect even very minor movements such as heartbeat or breathing, so it's good for monitoring signs of life. Such a contact-less control of heartbeat and respiration makes this chip also interesting for the technical equipment in intensive care units of hospitals. Its low power consumption also allows it to be used in portable devices. Due to the very high carrier frequency of the transmitter, the radar can also detect extremely slow speeds (comparable to the speed of snails or German bureaucrats). Thus this radar is also well applicable in the security technology. Due to its low power consumption and low weight, it can be used in drones to avoid collisions and to ensure a smooth landing. 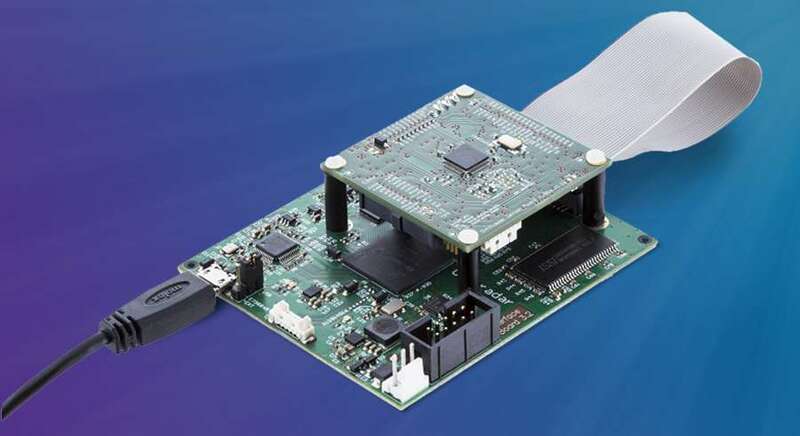 The manufacturer offers an Omniradar Radar Development kit for the RIC60A complete with an USB-interface board and sample MATLAB scripts for radar measurements and algorithm development on Personal Computer.